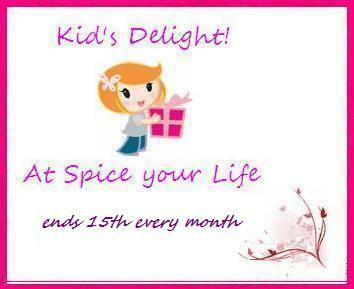 It is a great pleasure to announce the Srivalli’s Event for Kids Delight! We want you guys to do some Cooking on Tava. Come on it’s not difficult you do it every day but to help you here are some resources Wikipedia, Tarla Dalal. If this fails then look to see what our mother’s, grandmothers used for Cooking on Tawa is an everyday affair in an Indian home. Correct me if I am wrong but to make dosa, chapatti, paratha, dry fry, shallow fry, cook chaat, pav bhaji, and tawa masala to fry fish or meat. In a Goan home, you use it shallow fry veggies too.I think if a tava is concave enough it will double up as a kadhai/wok too. So what is this Tava? A Tava or tawa is a frying pan. A tawa is also known as a tawah, thawah or thavah, tapa, saj or sac. Generally for home cooking your tawa can be anything from 8 inches to 12 inches round. A professional tawa is bigger. Tawa is made of cast iron or aluminium and may or may not have a handle. Well then use the tawa, a versatile cooking pan and cook up a storm that your child will love. Anything from dosa, to the humble chapatti, gourmet fries to streetside food dish it up if you have cooked on the tawa. The event starts from 16th Jan and ends on 15th Feb 2018. The dish must be kid approved, even your neighbour’s kid’s approval is acceptable. Recipes from archives can be accepted ONLY if updated as current posts. Links to this announcement as well as to Srivalli’s Kid’s Delight post. Use of logo is appreciated. Recipes from non-bloggers are welcome. Please remember the last date is 15th Feb’2018. Your name and the name of your blog. Please leave me a note in the comments section of this post after you have mailed me your entry. In case of any queries please get in touch. Get your Tawa out Girls and cook a storm to please your child. Looking forward to all your yummy entries. Thanks for hosting Archana. I love this theme and so wonderful of you to give so many links and such detailed intro this theme. I am sure we will have so many ideas for this theme! Thanks will love them for sure.